Melbourne flower shop The Road Stall has been in business since 1971, when Belinda McDermott’s father Hans opened up a literal roadside stall to showcase the flowers grown near his Monbulk home. After Hans’s passing in 2006, Belinda and her partner Guy took over operations, selling only local blooms to support their nearby farmers. Three years later, they moved into a spot on Melbourne’s Spring Street — and today, they’re bringing local Aussie flowers to one of the biggest cities Down Under. We spoke with Belinda to learn more about the Road Stall and to discover why they chose Vend to run their retail. Read on to see what she said! Tell us a little about yourself, your business, and your local community. What’s your mission statement? Why are you passionate about what you do? What’s The Road Stall all about? My father Hans founded the Road Stall in 1971 as an honesty-box system, selling flowers on the side of the road in Monbulk — one of the biggest flower-growing areas in Australia. (Around 50% of Australia’s flowers are grown within five kilometers of where we live!) In 2011, my husband Guy and I took over the property, which hadn’t had a lot of love since my dad passed away in 2006. The property came with the flower stall, engraved in wood on the front with “The Road Stall – since 1971.” Being a young mum with absolutely nothing to do, I gave the stall a facelift and decided to sell local flowers out the front. You wouldn’t believe it, but some flowers sold in Australia come all the way from places like Kenya, Colombia, and India. Living in a flower-growing community with flower farms all around me, I saw how bringing in imported flowers was affecting the local growers. They were scaling back, shutting down, and moving on as they couldn’t keep up with the sell prices of the imported flowers. That’s why we decided to only sell local flowers. They’re fresher, of course, since they haven’t spent two days out of water on a plane to get to you, and they also support local farmers and their families. I plodded along at the little stall in Monbulk for three years, earning a decent social media following and loving all my customers. In 2014, the owners of Spring Street Grocer told us they liked what we did and wanted us to set up shop with them, so they offered us a space in the heart of Melbourne (157 Spring Street)! Off I trotted: a country girl to the city in my 1995 Volkswagen van (manual with no air con), bringing in local flowers from Monbulk to Melbourne six days a week. We still sell only local flowers; we love our new customers; the business is still seeing growth; and we’re still having so much fun! I push the local bandwagon anytime I get a chance, as I truly believe we can all make a difference as consumers. What specific pain points or issues brought you to Vend (i.e. inventory management, business growth potential), and why did you choose us over similar options? I wanted to see exactly what we were selling at what times and who was selling it. Because our team grew from two to six really quickly, I felt we needed our systems more streamlined. I also wanted to know what was going on when I wasn’t around. As we’ve continued to grow, Vend has given me the opportunity to employ some lovely staff who share my philosophy. I also wanted to be able to look back in a year’s time and see how many bunches of flowers we’d sold and which types had sold best. As business owners, Vend has given us the freedom to leave the staff to it. We can look at what’s selling bunch-wise and know what’s going in and out without spending hours reconciling invoices against sales. We used to spend up to 20 hours a month sourcing figures from our written invoices to make sure we were ordering what we needed each week. But we’re more organised now. With Vend, we can look up reports and project figures, budgets, flower numbers, peak sale times, and areas in need of improvement. 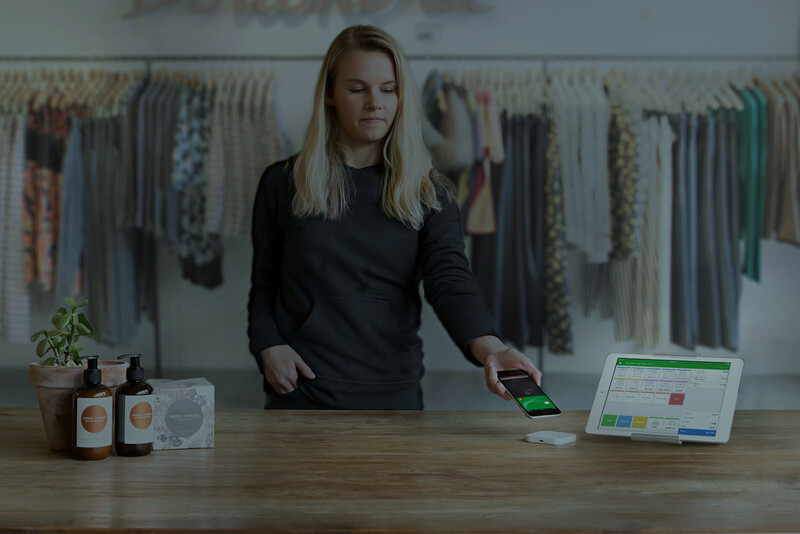 How do you use Vend in your business? What’s the setup like in your store(s)? Are you using iPads, PCs, or other devices? We’re using an iPad with an under-bench all-in-one printer and cash drawer. Our business runs so much more smoothly! We have more time to concentrate on training and on catching up on all of our other small-business jobs. With Vend, we actually have a work/life balance! I definitely recommend Vend. It’s easy to use for both the business owner(s) and staff. It’s also not too expensive — totally manageable for a small business! Follow the Road Stall on Facebook and Instagram, and pop into the shop if you’re in Melbourne. The post Vender of the Week: The Road Stall appeared first on Vend Retail Blog. Since then, TheSuperCool has hosted 30 pop-ups with their mobile emporium, opened a brick and mortar location in the South Melbourne Market’s SO:ME Space, and expanded their brand with TheSuperCool Kid. They’ve also grown their mailing list by 750% in three years — and they used Vend to help them do it. Read our interview with Noonie to learn more about TheSuperCool and to discover why the giftwares retailer chose Vend as their POS. Tell us a little about yourself, your business, and your local community. What’s your mission statement? Why are you passionate about what you do? What’s TheSuperCool all about? We’re an emporium of everyday objects carefully curated from around the globe. We’re passionate about supporting small business makers that offer organic, fairtrade, and handmade products and helping their small family businesses grow. We love giving great gifts that are thoughtful and unique, and we gift wrap them in our custom-made wrapping paper created by local designers. We’ve been in business for nearly six years, and we began as a mobile emporium that went to the people. We had no fixed address and would use social media to keep our fans on their toes with our next location. 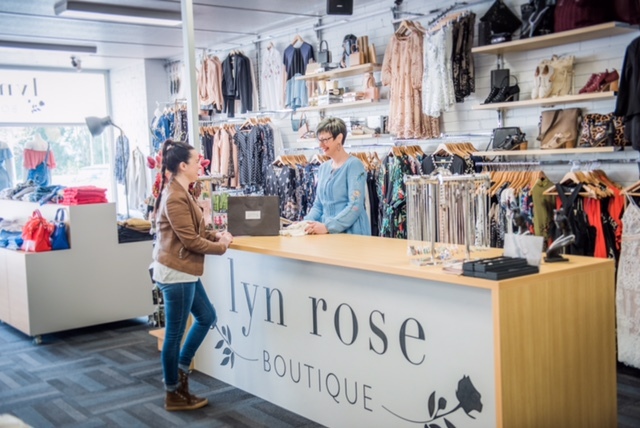 We’ve been fortunate to be recognized locally and internationally with awards for innovative retailing and visual merchandising. Fast forward to now, and we’ve had 30-odd pop-ups in various locations, from two-day events to 12 months! We now have a huge emporium within the design space (SO:ME Space) of the iconic South Melbourne Market — and in the last two years, we’ve expanded into TheSuperCool Kid (offering all those SuperCool families a place to shop for their kids!). Fortunately we switched to Vend before we had a period of growth. Prior to using Vend, we started out manually recording transactions and then switched to a license-based desktop POS — which, while an improvement, was limiting in that multiple registers meant additional licensees. The POS also didn’t have the tools for functionality across multiple stores, and it didn’t enable stock integration with our online store. As TheSuperCool was growing, we found it difficult to manage many elements of a changing business — stock management, customer loyalty, gift cards, and how to integrate these different areas across multiple locations — and to keep them all consistent with TheSuperCool brand. We found that moving to Vend helped us tackle most of these areas straightaway and gave us more transparency over our business. Vend gave us access to the remote tools needed to manage our business during a period of growth. It enabled us to integrate suitable plugins where required, such as Collect Rewards (customer loyalty) and Xero (accounting). Trusting Vend with the transactional side of the business has meant we’ve been able to focus on other areas — from artist collaborations and soon-to-launch international shipping to really targeting our SuperCool Amigos customer loyalty program. 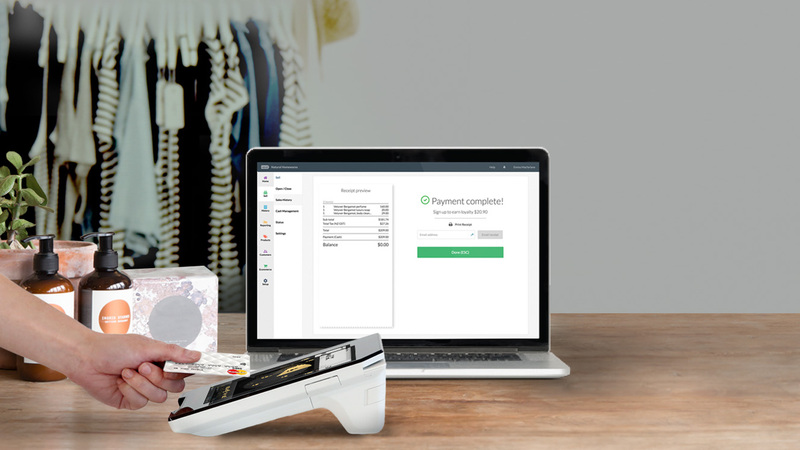 How have you found using a cloud-based POS system? How has the cloud enabled you to better run your business? 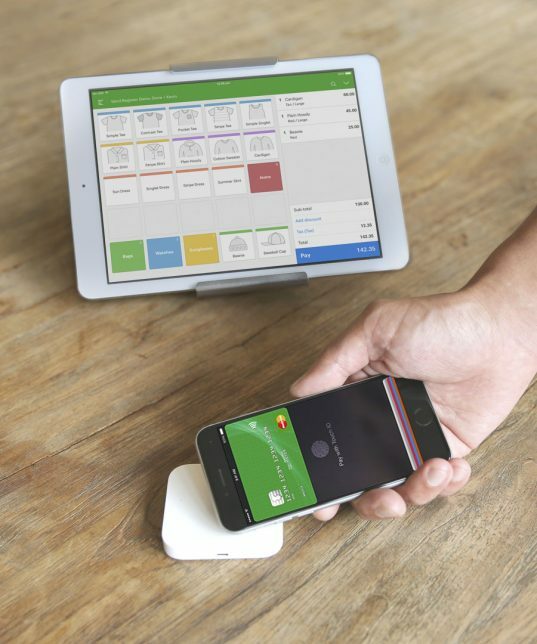 Cloud-based POS is amazing: a game changer for small to medium businesses! It’s enabled us to easily manage stock and process transactions (for our brick and mortar store, pop-ups, and online), and it’s given us the flexibility to tailor our customer loyalty program so we can reward our loyal Amigos! Such a setup also enables remote access, which means we can receive stock, create products, and check business analytics from anywhere — especially handy while trying to raise a three-year-old. In-store, we run Vend on iPad. We like the sleek aesthetic they provide, as well as the fact that they take up minimal space on our counters. Do you use Vend with any other software, such as Xero or Shopify? If yes, how have you found the overall experience? How has it helped or changed your business? The experience with all these elements has been very beneficial to our business, because they’re seamless integrations which don’t require much maintenance after the initial setup. This has saved us time and also enhanced our offerings to our customers. Vend is a tool that allows you to run your business like the majors do, but at a fraction of the cost. Prior to Vend, we were dedicating a lot of additional time and effort to the administration side of the business, but now we can access data and look at micro and macro elements of our business with the click of a button. This has proven helpful with all areas of TheSuperCool — from looking at our sales history to assess our strengths and weaknesses with our stock ordering, to understanding sell-through of categories, to scheduling staff according to rostering requirements, etc. We definitely recommend Vend. It’s the key tool you need to manage all elements of your business including sales and customer data — and you can access it remotely at any time. Follow TheSuperCool on Facebook and Instagram, and visit their SO:ME Space location if you’re in the area! The post Vender of the Week: TheSuperCool appeared first on Vend Retail Blog. In January 2010, Kim and Rupert Phillips fulfilled a longtime dream: opening their very own honey showroom, The House of Honey, in Western Australia. 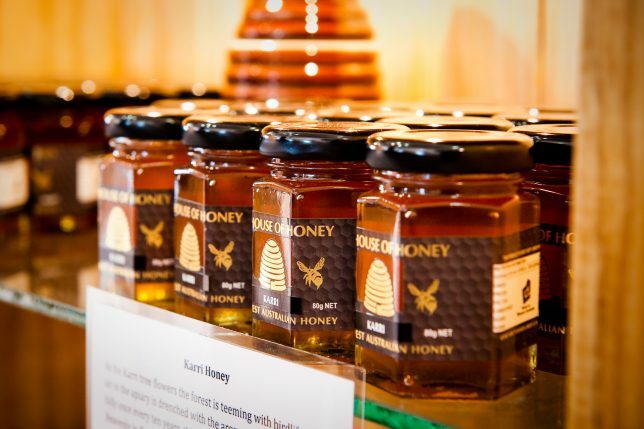 The ardent honey connoisseurs have dedicated the better part of their lives to educating their loyal customers on the importance of bees in the world’s ecosystem and to sustainably crafting high-quality Australian honey for their community. 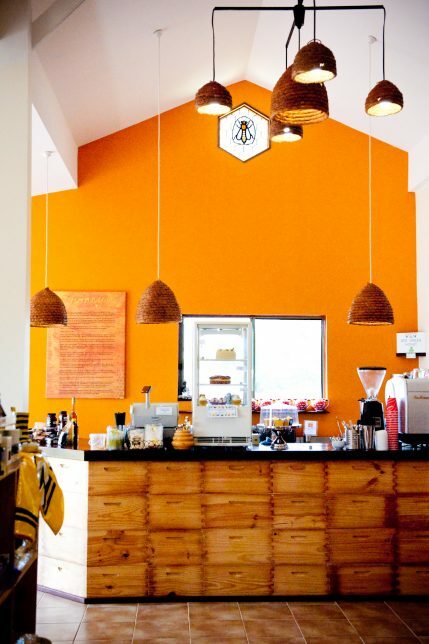 Once tethered to clunky cash registers and out-of-date systems, The House of Honey received a serious upgrade when Carbon Group suggested Kim and Rupert move to Vend. With the help of the Vend Expert Partner, the husband-and-wife duo made the switch — and today, they use our cloud-based point of sale solution to power their shop and the attached Sticky Spoon Café. We think Kim, Rupert, and The House of Honey are the bee’s knees (it was right there! ), so we spoke with “Queen Bee Kim” to learn more about the business and how Vend enables them to succeed. Read on for the interview. Tell us a bit about how The House of Honey got started. What are you all about? My husband Rupert became interested in bees at the age of eight, when he started beekeeping. During his early years, he dreamt of one day opening a honey farm, where he could showcase fine honeys and educate the public on the fascinating world of bees. After researching the idea of starting our own business, we decided there was a real need for a honey showroom in Perth, WA. Bees are under threat globally, and we felt we could play an important role in making people more aware of the role that bees play in pollination and food diversity. We take pride in our business and in educating customers on how to maintain a sustainable future within the honey industry. We also decided to make a lifestyle change to follow a dream that would challenge us to be more productive, innovative, and creative. To make this dream come true, we needed to raise the funds to open The House of Honey — so we worked overseas for five years to build the honey shop ourselves and finally opened it in January 2010. The House of Honey proudly specializes in pure, unpasteurized, and unadulterated varietal honeys. We practice harvesting honey only when our bees have allowed the honey to fully ripen and mature into an exceptional taste. Our guarantee to our customers is that we’ll provide a premium, top-quality West Australian honey. We use traditional and sustainable farming methods that produce an intensely flavored honey with a high nutritional value that’s proven through laboratory testing. We actively educate our consumers on bees through various mediums such as honey festivals, brand boards, and student educational activities. Our community is a mix of local farmers, young families, and interstate and international visitors. The Swan Valley is located only 20 minutes from Perth CBD and 10 minutes from the airport. It accommodates a varying age range, from third- and fourth-generation families still working the vineyards throughout the greater Swan Valley region to first-time homebuyers and young families establishing themselves in areas such as Ellenbrook, Whiteman Edge, and St. Leonards. Our local indigenous community are the Swan Valley Nyungah (Noongar) Community. The House of Honey endeavors to enhance our customers’ visits by making everyone feel special. We engage with each of our customers several times throughout their visits, and we meet and greet all our customers with a warm welcome. When they leave the store, we ask each person if he or she had a good experience. Customers are even able to fill out a feedback form in the Honey Club should they want to. Occasionally we send out surveys to ask our customers key questions on our service and products. We’ve found that our feedback has been extremely positive! 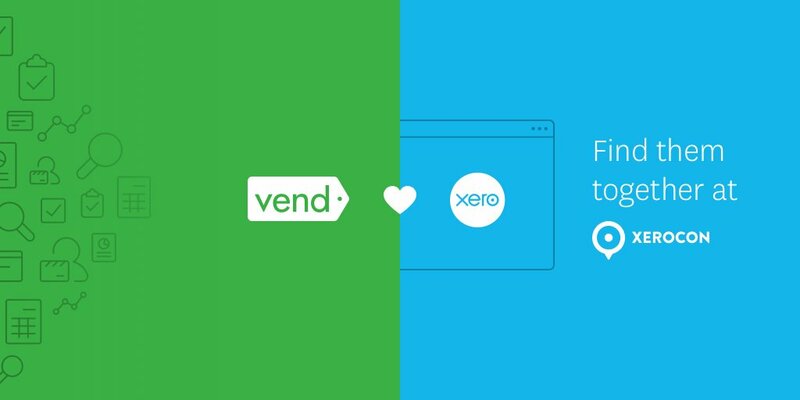 We were introduced to Vend by [Vend Expert Partner] Carbon Group, who suggested we move away from old-fashioned cash registers and Excel spreadsheets so we could be faster and more efficient. The system is user-friendly, and the younger generation find working on the iPad very easy (second-nature almost!). Vend enables us to draw new reports to analyze our business’s growth and shortfalls. Passion, devotion, hard work, and a belief in our product have made our business a success. When you’re really passionate about something, it becomes infectious to the people around you — whether they’re customers or staff. Policies and procedures have become the strong foundation on which our small business has grown. Listening to our customers enables us to take on some business options (i.e. value adding) that we wouldn’t ordinarily venture into. 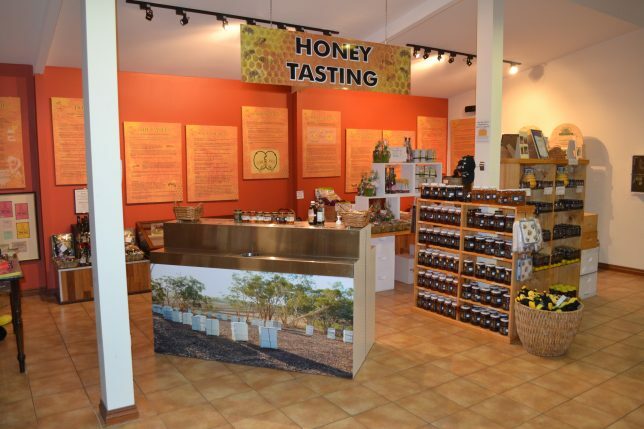 This has allowed us to diversify and add more interest to our honey showroom for tourists and locals. It would’ve been lovely to take an introductory course for small businesses covering things you need to know and where to go to get them — tax, payroll, labelling laws, HR, etc. Just a snapshot of some important foundations to get you on the right track. Whenever our loyal customers visit (the ones who’ve been coming in from day one) and tell us how proud they are of us, I’m always blown away. Sometimes when you’re working so hard on your business, you don’t notice the growth and changes that you’ve succeeded in making because you’re always working on the next challenge or idea. These customers make you stop and think about what you’ve achieved and how they want to be part of the journey. They remind you of how nice your gardens are, how lovely the new carpark or extensions look. They’re appreciative and so very proud that you’re succeeding as a small business. I love these wonderful customers who make you take time to be proud about what you’ve done as well! Follow House of Honey and Sticky Spoon on Facebook, make sure to visit if you’re in the Swan Valley area, and buy some honey if you’re so inclined! The post Vender of the Week: The House of Honey appeared first on Vend Retail Blog. Australia-based retailer LUC. Design, owned and curated by interior designer Lucy Given, is a bit of a jack-of-all-trades. 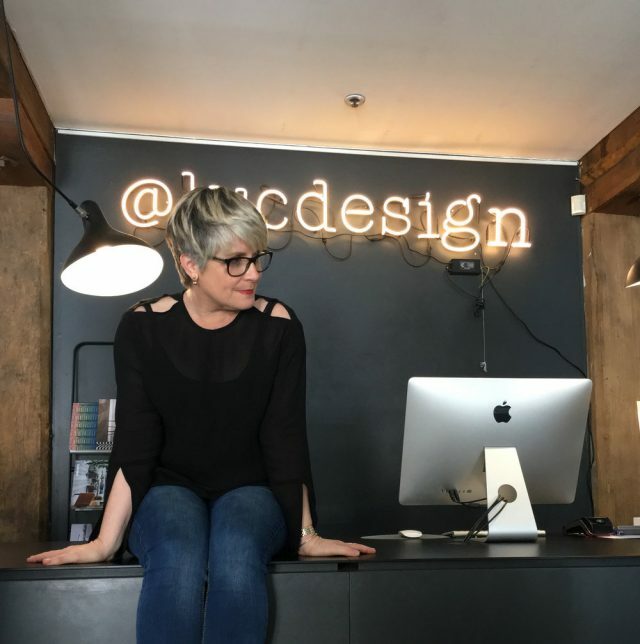 Using her 25-plus years of design and retail experience, Lucy has made LUC. 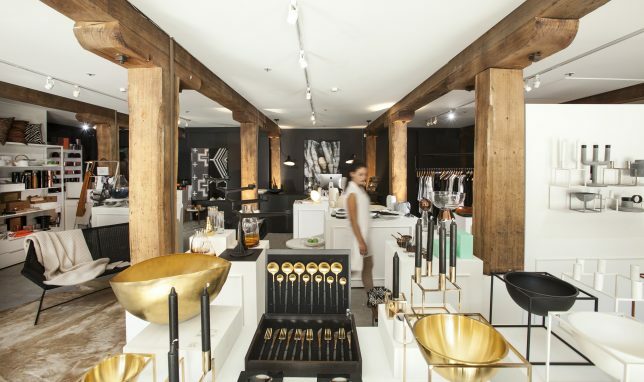 into a destination for beautiful and functional “fashion, homewares, furniture, and art” — and she trusted Vend to take her from LUC.’s tiny starting location to a stunning, 145-square-meter flagship store in Tasmania’s capital of Hobart. We interviewed Lucy to learn more about why she started LUC. and why she chose Vend. Read on for the goods! Tell us a bit about how LUC. got started. What are you all about? I opened my store in late 2013 in a very small (20 square meters!) space in a tiny cottage in suburban Hobart. The brands I chose were new to Hobart, and I gained a following for providing great design and unique products. 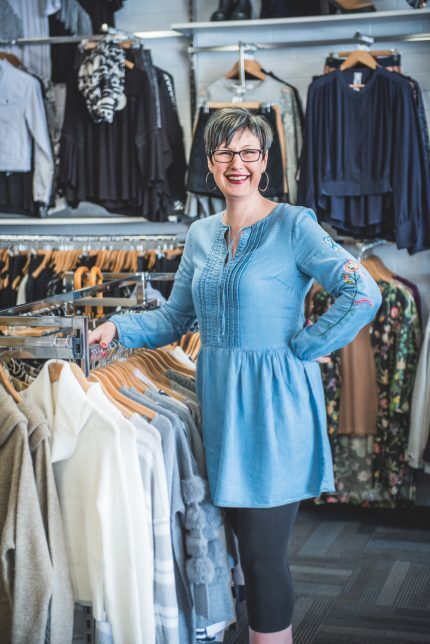 I quickly outgrew such a small store, but I knew that the next phase of the business needed to have an exceptionally good location and size — and just that something extra that would set me apart from other retailers. The perfect space became available at the beginning of 2015, but we didn’t actually open in the new store until September of that year. We’re now housed in a magnificent 19th-century sandstone warehouse on the waterfront in Hobart; as a business, it was the best move I could’ve made. We now have 145 square meters of beautifully displayed fashion, homewares, furniture, and art, as well as a really strong customer following in store and on social media. Tasmania is a small island state, and the capital Hobart is a small city. Front and center in Hobart is the world-renowned art museum MONA, and many tourists come from all over the world just to visit the museum. We have a really active art, festival, and design scene in Hobart, and we’re discerning about quality and provenance of product. Locals are really grateful to now have access to iconic design pieces not previously seen, and the tourists love the fact that they can see so much great design in just one store. 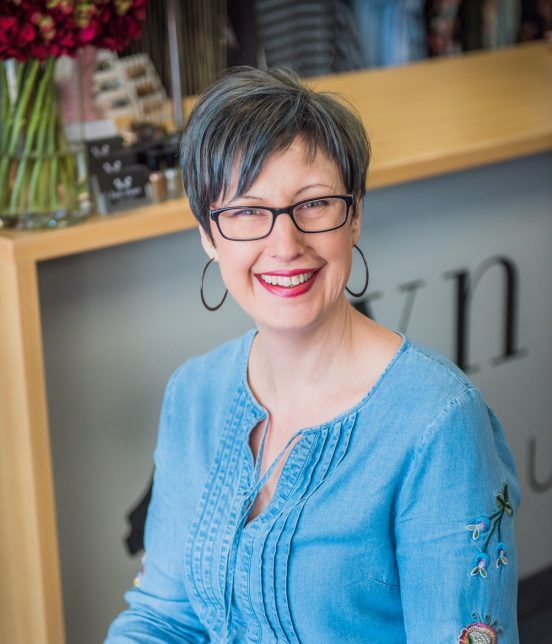 When I established the new, larger store, I knew that with the volume of product required for me to stock the space and the fact that I now had four staff who needed to know inventory and pricing, that I just had to be more accountable for the product. I asked a friend who owned a local boutique if she was using a POS software brand, and she was using Vend. As we were starting out in the new store with new hardware, new stock, and new staff, it was the perfect time to start with Vend. I now often recommend the software to other retailers. Setup was relatively easy as we weren’t swapping over from another system. 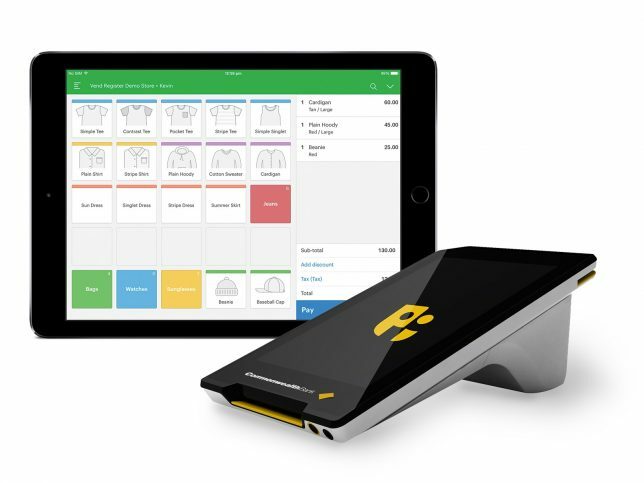 It was understandably time-consuming in the first instance — but now that we’re set up, any new delivery is easy to put into the system and the POS for our customers is painless, quick, and accurate. We were going to use the iPad but haven’t found that necessary as yet; we use one MAC terminal at our sales counter, and this works just fine! I’ve been involved in the interior design industry for over 25 years. Bringing my knowledge into a retail environment was a natural progression. When I transitioned into this new store, I knew I had to make my customers aware of why I do what I do. I’m passionate about design, and my knowledge and experience of design product, designers, architects, and architectural projects is strong, but what I really wanted to impress was that great design need not have a hefty price tag. Having objects around you that bring you joy — objects you love and that resonate with you — means they have value. I’d love to say that I’m a minimalist, but in my line of work that’d be absurd. Rather, I think of myself as an “essentialist”: have nothing in your house that isn’t beautiful or functional. Starting small really worked for me. I started small, but I had a vision of where I wanted the business to go. Don’t underestimate the power of a business plan. You hear this advice over and over before you start a business; don’t ignore it! Once you start putting everything on paper (your ideas, your projections, your competition, your point of difference, how much you’ll spend on rent), the whole thing can then develop. Be honest with yourself and with others. Don’t fudge the figures on a business plan to make them look good or to give you a false sense of achievement; if the rent is too high, look for another place. If you can’t afford the minimum opening order with a particular supplier, then get the brand you really want and spread thinner on the other brands. Too, too many, but most of them involve people who really just needed a hug! Retail certainly isn’t the easiest of service industries — and when people complain, what they’re really seeking is a solution. So if you can get to that outcome quickly, then all the angst that goes on before that can be alleviated. That, and give them a hug! Follow LUC. on Facebook and Instagram (@lucdesign and @lucdesign_style). The post Vender of the Week: LUC. Design appeared first on Vend Retail Blog.